Fall Sports are back in full swing! Cross Country had their first meet on Friday, while Volleyball and Rugby have been practicing hard in the early season. 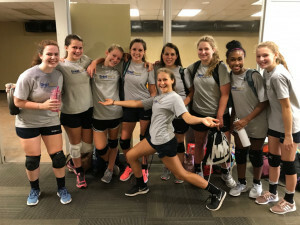 Top left – The 9th grade girls Volleyball team before their first practice. 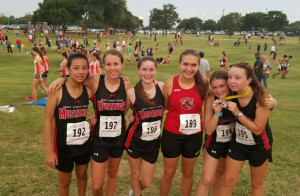 Top right – The 9th grade girls Cross Country after the Friday Night Hawk Invitational on Friday.